﻿Medicare's Recovery Auditors are causing hospitals an increase in frustration and fear within the audit process. ﻿Free Initial Assessment﻿ from SCORE (Systematic Compliance Optimizes Revenue Efficiency), a Revenue Cycle Compliance Analysis. 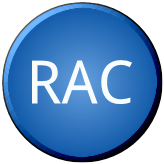 We believe this Free Initial Assessment will enable hospitals to find hidden revenue and enable them to fight against rising healthcare costs. SCORE begins with an analysis of a Hospital or Physician Group’s Financial Health, which examines the status of their compliance and whether or not they are achieving optimal earned revenue for their services. If not, the Analysis Report identifies their compliance issues and determines the financial value of undertaking a complete Compliance Audit of the Client’s Charge Description Master (CDM) which normally produces significant additional Total Patient Revenues. SCORE assists the Client by identifying and correcting their compliance issues which, if audited by the Centers for Medicare & Medicaid Services’ (CMS) Recovery Audit Contractors (RACs), could result in substantial fines for improper billing and/or over-billings to the government, or possibly accusations of fraud should certain billing practices continue without correction. Recently, the need for continuing maintenance of the CDM has become increasingly more important due to the complexity of payer contracts, payer scrutiny, and mandates throughout the industry for more transparent pricing. Failure to accurately and effectively maintain their CDM places a facility at serious risk for compliance violations, as well as lost reimbursement. 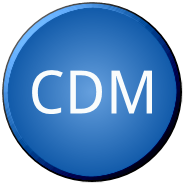 While past focus may have been on reimbursement value, the emphasis has now changed to the accuracy of all CDM line items. Therefore, complete and continuing analysis of the CDM is necessary to ensure the proper combination of coding and revenue is associated with each charge. SCORE resolves or eliminates all of those issues, thereby ensuring the ongoing integrity of the Client’s revenue stream. 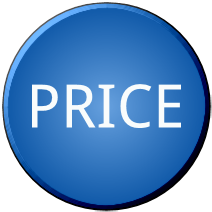 That effort generally also results in the identification of significant dollars in additional revenue resulting from inaccurate pricing, charging, and coding. We understand the complexity of the Revenue Cycle and the risk of fraud that happens due to constant change. We also understand that hospitals and CFOs are under a lot of pressure and are trying to do more with less. We would like the opportunity to help as many hospitals as possible by providing this free analysis. For more information, call 800-349-4531 and ask for Kim. We look forward to working with you and helping you find hidden money within your facility.